A team of researchers from the U.S., Canada and Brazil has done a genetic analysis of rats from four major cities in the New World. In their paper published in the journal Proceedings of the Royal Society B, the group describes their study and what they found. If the headlines are to be believed, rat populations are increasing in many cities around the world. No one knows for sure because of the difficulty in counting them. Still, scientists continue to study the rodents as they are considered pests and health hazards. In this new effort, the researchers conducted a genetic analysis of rats from four major cities in the New World with the aim of learning more about their environmental situations. In all, the team captured 150 rats from multiple locations in each city, which included New York, New Orleans, Salvador and Vancouver. They took tissue samples from each rat, which were subjected to genetic analysis. The analysis focused on 15,000 particular markers, allowing the researchers to identify very small genetic differences between populations of rats in order to identify rat groups or families in each city. 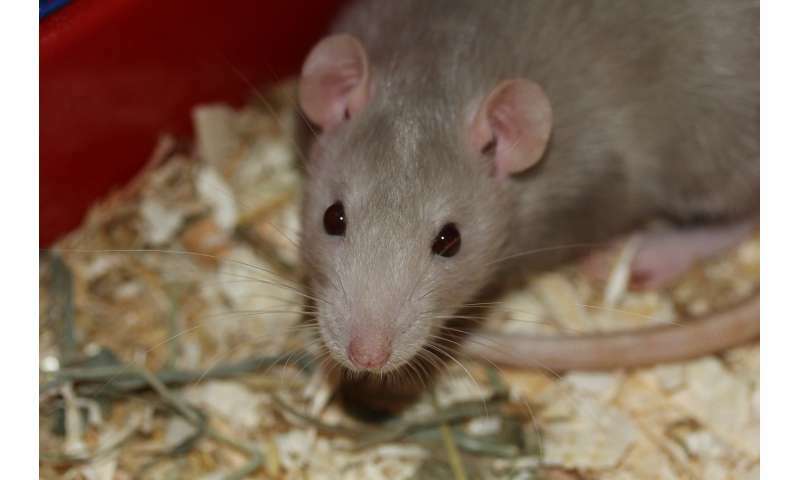 The researchers note that last November, another team conducted a similar but smaller study and found that there were uptown and downtown rat colonies in New York City. The data from the new study found similar results. But they also found similar results for the other three cities. In the Brazilian city of Salvador, for example, they found that a valley prevented two groups from mating, resulting in northern and southern rats. In New Orleans, they found French Quarter rats versus Lower Ninth Ward rats. And one small pocket of rats in Vancouver. The common thread, the researchers report, was natural or man-made barriers that kept the groups of rats apart. And that is good information, they note, because it offers city planners ammunition for controlling rat populations. That is the ultimate goal, after all, in most rat studies. Instead of taking the whack-a-mole approach to eradication, they suggest, it might make more sense to learn how humans make life easier for the rats, versus what makes it more difficult for them to survive among us. Urbanization often substantially influences animal movement and gene flow. However, few studies to date have examined gene flow of the same species across multiple cities. In this study, we examine brown rats (Rattus norvegicus) to test hypotheses about the repeatability of neutral evolution across four cities: Salvador, Brazil; New Orleans, USA; Vancouver, Canada; and New York City, USA. At least 150 rats were sampled from each city and genotyped for a minimum of 15 000 genome-wide single nucleotide polymorphisms. Levels of genome-wide diversity were similar across cities, but varied across neighbourhoods within cities. All four populations exhibited high spatial autocorrelation at the shortest distance classes (less than 500 m) owing to limited dispersal. Coancestry and evolutionary clustering analyses identified genetic discontinuities within each city that coincided with a resource desert in New York City, major waterways in New Orleans, and roads in Salvador and Vancouver. Such replicated studies are crucial to assessing the generality of predictions from urban evolution, and have practical applications for pest management and public health. Future studies should include a range of global cities in different biomes, incorporate multiple species, and examine the impact of specific characteristics of the built environment and human socioeconomics on gene flow. Are there as many rats as people in New York City?